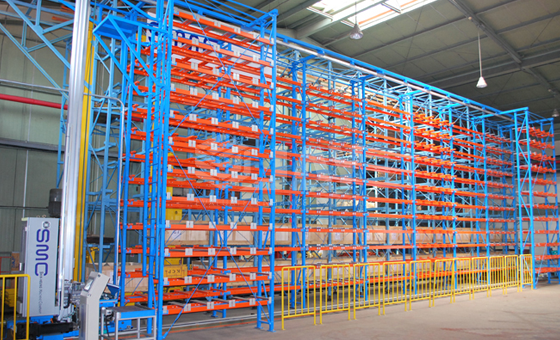 The High Bay Shelving is an optimum shelving system for handling boxes for picking, following the ‘product-to-man’ concept. 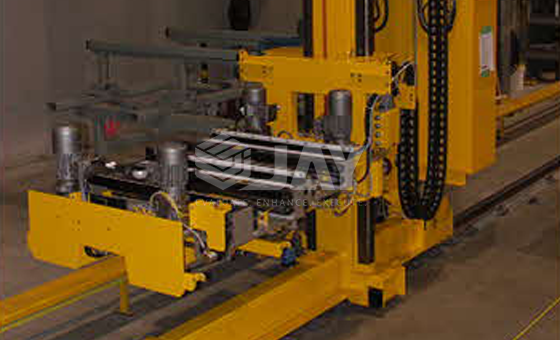 The mini-load automated warehouse for boxes is made up of a central aisle along with a stacker crane travel and two racks built on both sides used to store boxes or trays. 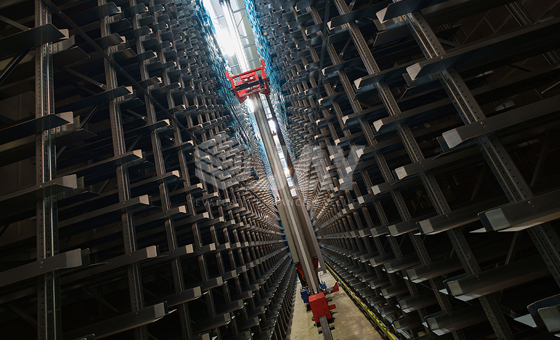 The picking and handling area is made up of conveyors and is positioned at one end or at the side of the racking. Here, the stacker crane deposits the load extracted from the rack. The conveyors then take the box to the operator and once he/she has finished the task at hand, it is returned to the stacker crane which then places it back in the racking. The whole system is controlled by a management software package which registers the location of all the materials in the warehouse and keeps an inventory in real time he system’s extraordinary capacity to adapt enables it to integrate into any production or storage process. 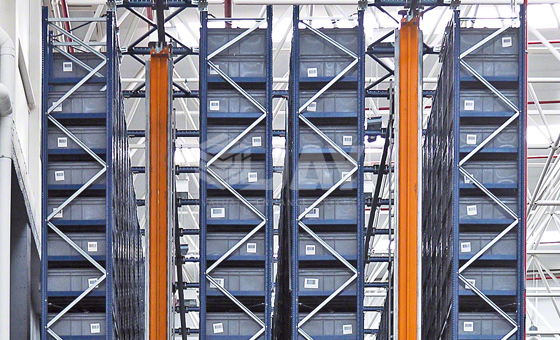 This racking system is designed to adapt perfectly to the movement of the stacker crane and for the high-bay storage of boxes. Its design enables greater use of space and an increase in the storage capacity, by optimizing the movements of the stacker crane. This are mainly used for ‘Man-to-goods’ principle. 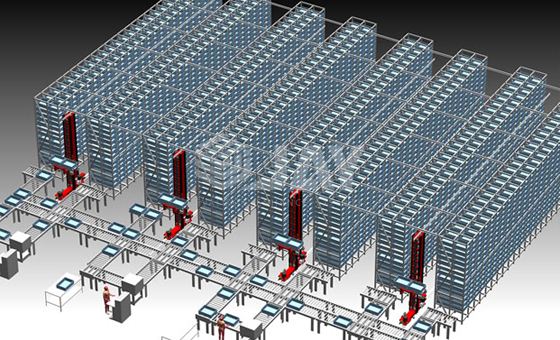 Automation of the entry nd exit operations of your products. controlling and updating inventory management.